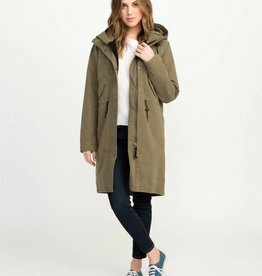 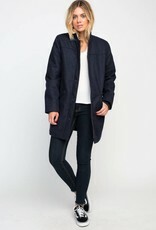 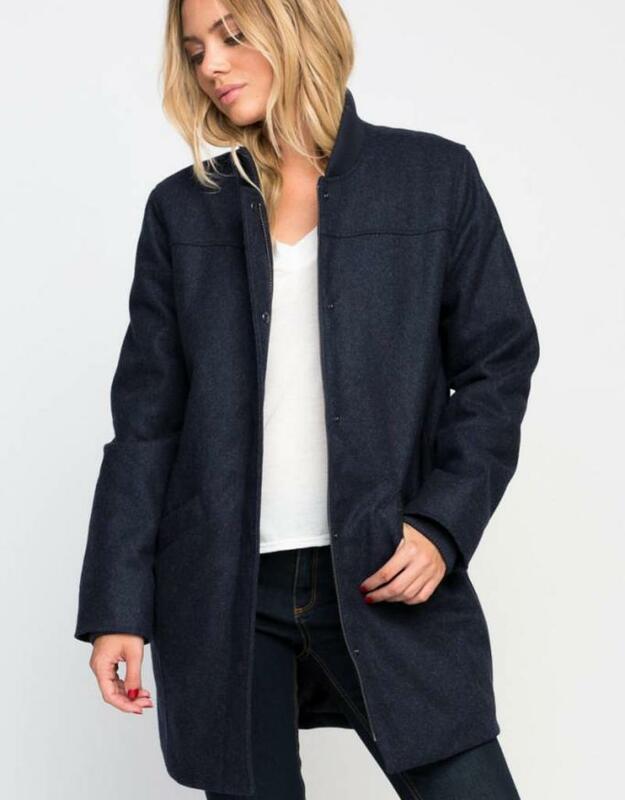 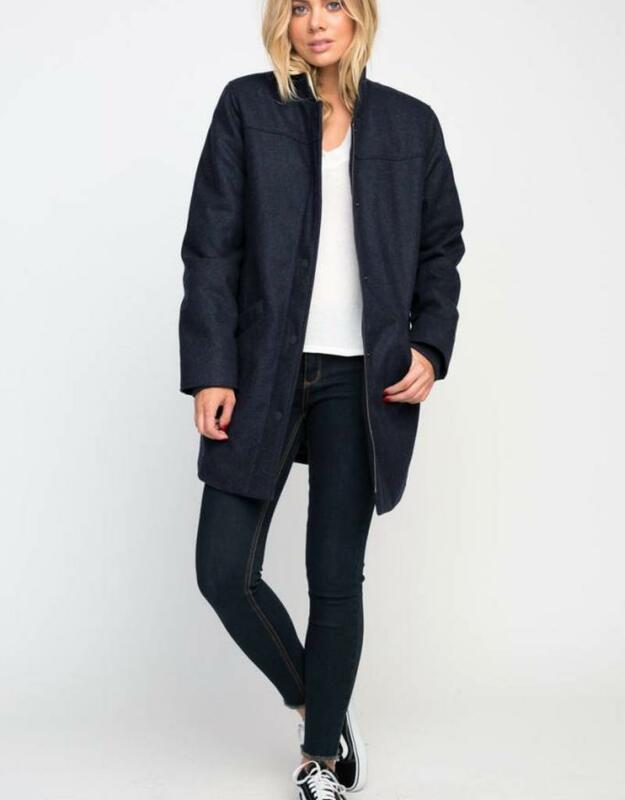 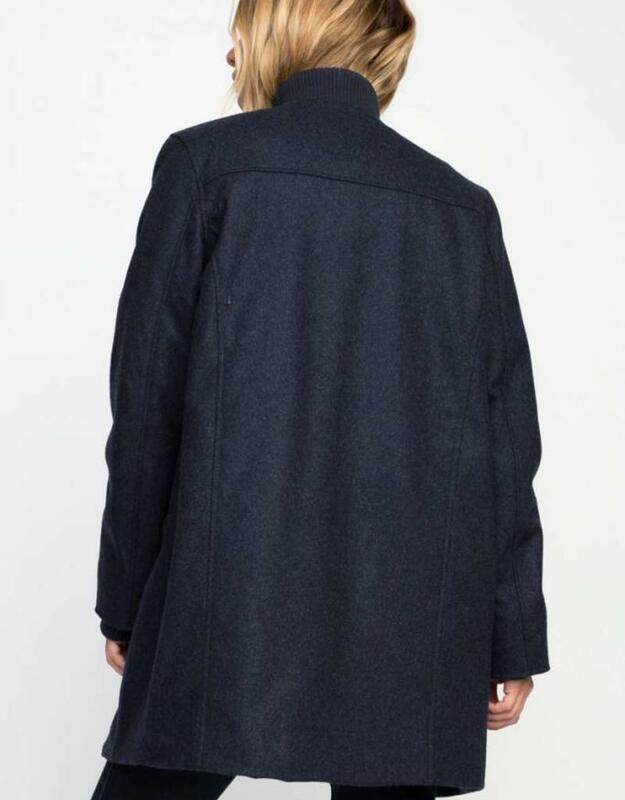 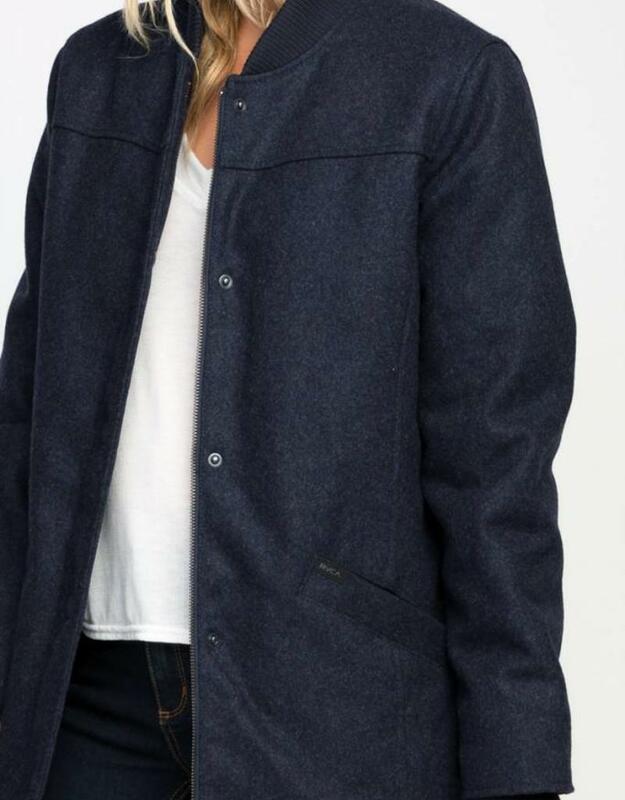 The RVCA Melange Wool Coat is a mid-weight melton wool coat with quilted polyester taffeta lining. 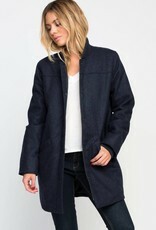 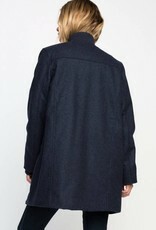 It has ribbing at the collar and sleeve cuffs, waist welt pockets with hidden snaps, and a hidden zipper at the front. 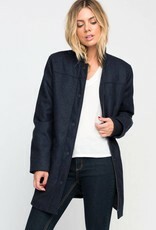 Finished with an interior left chest welt pocket and RVCA logo silicone snap buttons down the front.